So a little history was made at Rod Laver Arena on Saturday night. 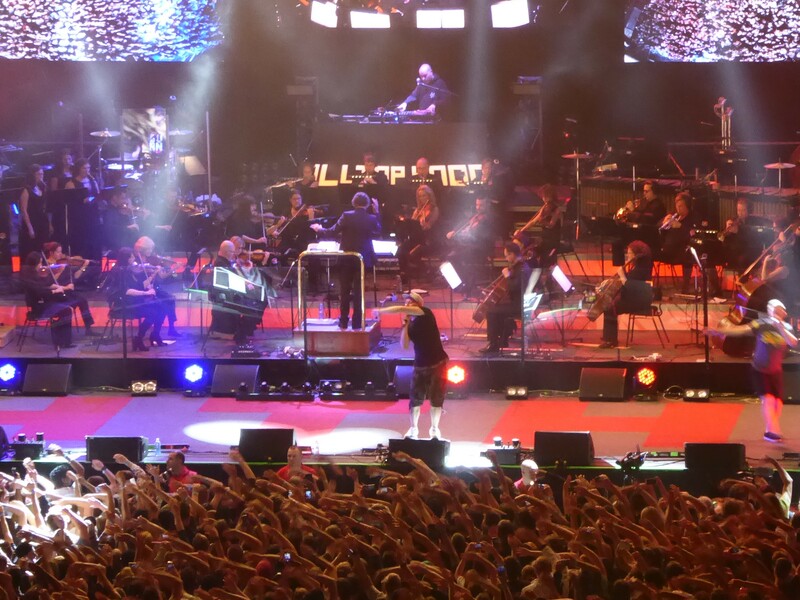 It wasn’t just the sheer might of Hilltop Hoods performing with the Melbourne Symphony Orchestra on the Restrung Tour, but a local act selling out an arena for the biggest Australian Hip Hop show. Ever. Already making a huge impression, A.B. Original took to the stage as the early warm up. The collaboration between Briggs and Trials had the crowd bouncing in no time, and hard hitting numbers including 2 Black, 2 Strong made a massive imprint – not only because of their unrelenting energy, but by bringing prominent indigenous issues to the forefront to a crowd willing and keen to listen. Having featured on a few Hilltop Hoods tracks, it made sense to invite London born, Irish raised singer songwriter Maverick Sabre along for this string of shows too. Even if the sounds were unfamiliar, power packed vocals were enough to impress and maybe even blow a few minds. Then under the direction of the musical brain that is Hamish McKeich, the MSO and choir completed the stage ensemble with the Hilltop Hoods. Impressive in size and sound as soon as the curtain was pulled back, every note from the intro to the finale was jaw-droppingly good. Echoing ‘Hill-Top’ chants before opening with Higher pumped up the crowd even further, and the lighting and pyrotechnics were just a little icing on the cake. 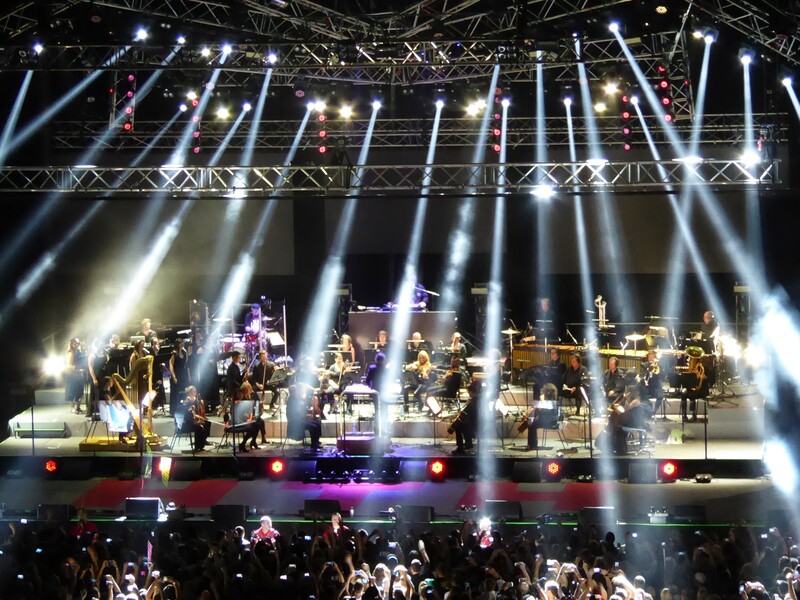 The music united, joining together as one under the music for Speaking in Tongues and celebrated humble beginnings with The Nosebleed Section, received with roaring cheers. As far as highlights go, an already stirring Through the Dark getting a bit of a cinematic treatment sounded nothing short of amazing, but the chorale of voices and insane beats making for an epic version of I’m A Ghost was phenomenal. Then there were guest appearances from Maverick Sabre (for Live and Let Go and Won’t Let You Down), Montaigne (1955) and after the fervent pre-encore chants, Remi helped out with Cosby Sweater. There was no denying that Hilltop Hoods deservingly earned their right to be Rattling The Keys to the Kingdom. Even for the lesser-versed in Hip Hop, this was a show well and truly worth checking out.